Peer into the day-to-day lives of the 765 Productions idols. 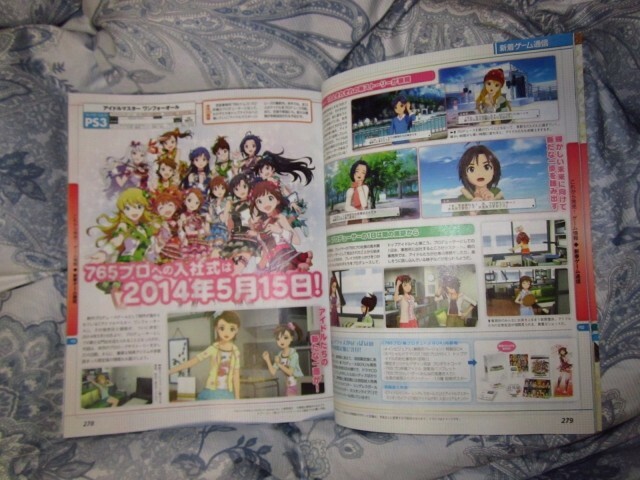 The Idolmaster: One for All will launch for PlayStation 3 in Japan on May 15, the latest issue of Famitsu reveals. The standard and download versions will cost 7,600 yen. A limited edition “765 Production New Producer Box” will also be available for 11,800 yen. It includes a special box, drama CD, limited costume download code, 765 Production business pamphlet, a calendar, cleaner, and 13 posters. Pre-orders include serial codes to obtain an exclusive idols in The Idolmaster: Cinderella Girls and The Idolmaster: Million Live. The magazine also reveals a new feature. Players will be able to peer into the day-to-day lives of their idols. You’ll be able to see their private lives, work lives, watch them clean windows and drink tea, etc. And all in their 3D model forms. When you go to the office, they’ll all be there getting ready and pleasantly chatting.